Servings :	 4 Prep Time :	 10m Cook Time :	 30m Ready In :	 40m Tequila Sunrise Pork with Orzo is a simple to put together meal that the whole family will love. Low-Fat, Low- Cal and Yes, it's even safe for kids. Tequila Sunrise Pork with Orzo is a simple delicious low-fat, low-calorie dinner that the whole family will love. Don’t worry about the tequila portion of the program, all the alcohol cooks off! Mix all the marinade ingredients together; place the pork into a zip top bag, add the marinade, remove as much air as possible, then place in the refrigerator to marinate for about 1 hour, not more than 2. Once the meat has marinated, remove the meat and pat it dry; season with salt and pepper. Reserve the marinade. Heat the oil in a sauté pan over medium heat, when hot, add the pork and cook, stirring until browned on all sides; add the marinade and cook until reduced by 3/4. Add the chicken stock; cover and cook over low heat until the pork is tender; about 30 minutes. While the pork is simmering, cook the orzo in salted boiling water for 2 minutes less than the package directs. Drain and rinse under cold water to stop the cooking process. Set - aside. Once the pork is tender; add the orzo to the skillet. Cook, stirring constantly until the orzo has absorbed all the liquid and is tender; add some water or stock if needed. Stir in the cilantro. Taste and season with additional salt, pepper, cumin or oregano as needed. Serve with lime wedges if desired. Tequila Sunrise Pork with Orzo is a recipe that originally came from Cooking Light, circa 1997 or 98. 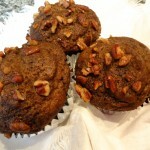 As I’ve said before, I like many of the recipe ideas in Cooking Light. 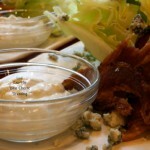 The recipes are simple to prepare and use pretty common ingredients. But they have a tendency to lack layers of flavor. I have long lost the actual recipe; but I made it enough times after we returned to California from Tulsa Oklahoma and I had those 30 pounds to lose (yes, Tulsa is known for making you gain weight, or was it cooking too much from Gourmet magazine?) that I had a pretty good idea what to do. And anyway, I knew I didn’t cook it exactly as they said in the first place, so with a basic understanding of what the finished dish should be, I bravely started preparing it. 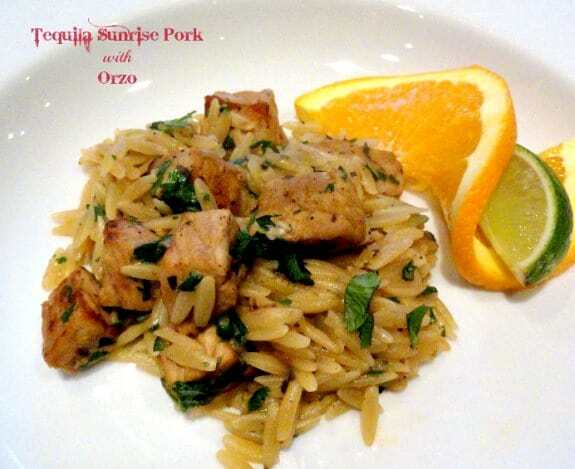 Tequila Sunrise Pork with Orzo had to include, orange juice, tequila, pork, and orzo. See, simple. When we first moved back to California, we lived in a town called Pacifica. Pacifica is about 20 miles south of San Francisco and is known for its fog. We first drove to Pacifica on a beautiful clear October day, cresting the coastal hill from the city and seeing the majestic rugged coastline … it was love at first sight. So we moved to Pacifica. We bought a house in the “Park Pacifica” area, back in the valley where we had more sunny days then foggy ones. Don’t get me wrong, the fog did come, but we could see it coming as its foggy fingers would come licking at our sunshine. Being in such a beautiful rugged area, close to the beach, we had our share of visitors. One day our friend Joan asked if she could come to stay for a while. Joan had given up her job a while back and had moved to Baja California; she was now transiting herself back to the states but had nowhere to live. The condo she owned was still occupied under a lease and she had to wait until it terminated. So we said sure, come stay “for a while”. For a while turned out to be a month. Houseguests, like fish, should not stay for more than a few days…a week at most. While Joan was staying, Brian and I had a short trip planned, and while I’m not a fan of leaving people in my house alone, what was one to do? So I charged her with taking care of our cats, and our dog Tessa. At least it saved me a boarding fee. When we returned from our trip, we found Joan in the kitchen happily preparing us dinner. A very nice treat. 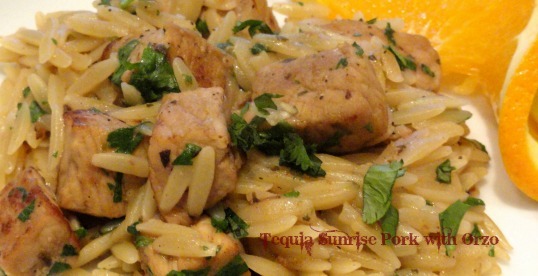 She had pulled out the Cooking Light book and was making one of our favorites, Tequila Sunrise Pork with Orzo. She was also drinking a glass of wine. 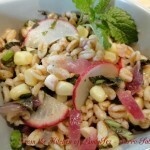 Orzo is a pasta that is in the shape of rice; usually a bit larger than rice. The best orzo is made of semolina, same as the best pasta of any shape. Orzo is very versatile and can be used in many ways; in this case, by undercooking it by two minutes, I was able to add it to the sauce to complete cooking. Like risotto, the orzo absorbed all the flavors of the sauce, giving it a full, rounded flavor. While most of the time I do not recommend rinsing your pasta, I do in this case. Rinse the orzo under cold running water to stop the cooking process. Otherwise, it will be overcooked when you finish it in the sauce. LindySez: Once the meat has been browned, the marinade added, reduced and cooked, the alcohol from the tequila is dissipated to point of nothingness. So it’s safe to feed the kids. 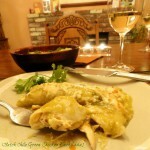 If you don’t want to buy a large bottle of tequila for this recipe, buy one of the trial sizes they sell. It’s just about a perfect amount to use. Buy something good – 100% agave not that stuff that’s 50% sugar water.